The Gentlemen Songsters have been “Entertaining Folks” for 87 years. Founded as the Chevrolet Glee Club in 1932 by Dave Redwood, a general foreman at the Chevrolet-Detroit Forge Plant, the Songsters entertain at banquets, churches, civic associations, retirement homes and other selected functions. The Songsters are under the direction Peggy Barry Bartz and are accompanied by Hwa-Ling Russell. Peggy returns after a four-year hiatus raising a teenage daughter. Hwa-Ling Russell is an area pianist and accompanist. This is her second season with the Songsters. 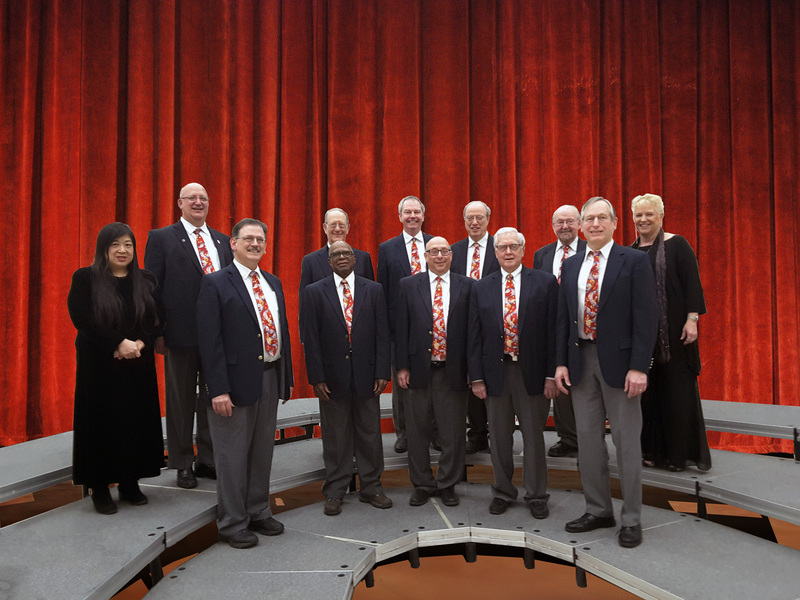 The Songsters are members of the Great Lakes Male Chorus Assocation, a group of male choruses from Michigan, Ohio and Indiana. In 2018, the Songsters were host to the Big Sing held at the Fraser Performing Arts Center in Fraser Michigan.